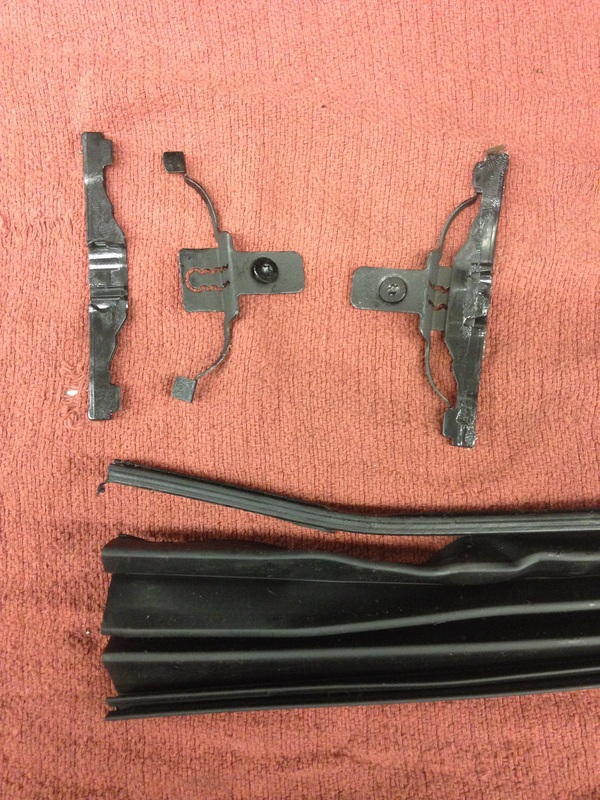 This picture is of the sunshade guide clips,,,this is from a 428 gran coupe,,,,with just 2000 miles,,,,the sunshade got stuck in the open position,,,,I was unable to slide it forward,,,,the guide on the right side is ok,,,the left one is bent and broken as you can see,,,also the side sunroof gather got cut,,,,it’s amazing how this stuff happens on a new car sometime,,,I wonder sometimes if it is because of the new owner not knowing how stuff works. 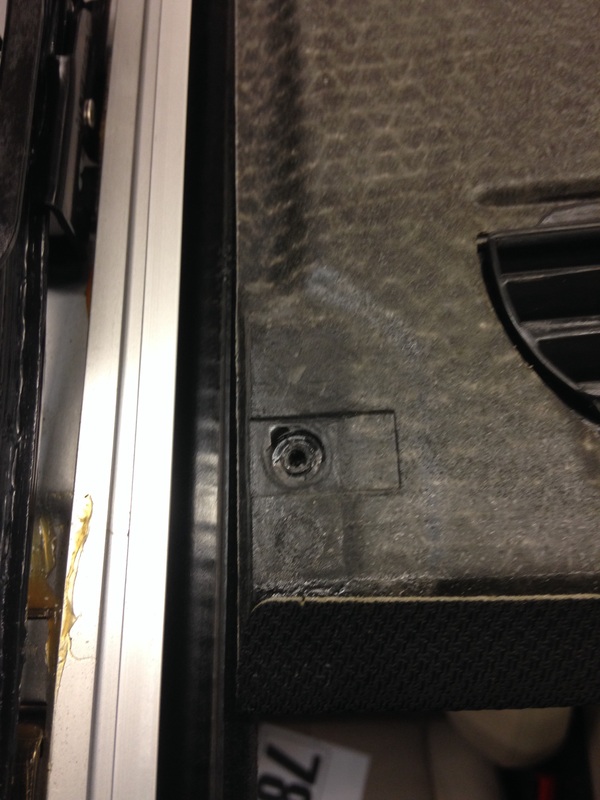 This picture is where the guide slides screw into the sunshade from the top. This entry was posted in Uncategorized and tagged 428, Sunshade guide. Bookmark the permalink.